Custom P.O.P. floor mats are a great way to draw attention to in-store displays. Our vibrant, high resolution printing techniques allow your logo and brand message to stand out and get noticed by consumers. Because they perfectly compliment P.O.P displays, and leverage valuable floor space in high-traffic areas, they ultimately entice consumers to make spontaneous purchases. We offer competitive pricing and budget-friendly options to fit nearly any promotional campaign. Since we have a lower minimum order requirement, our brand mats are perfect for P.O.P. store displays and other high traffic areas. We can make nearly any custom shape and size mat to enhance your promotion. Our printed imaging is permanent and fade resistant. Most mats have rubber or non-skid backing. Custom mats are perfect for enhancing in-store displays and special events. Easy to ship, easy to fulfill. We offer FREE concept art with your logo. Mats are individually rolled and placed into a single re-shipper carton. Our most popular P.O.P. display mats are polyester faced, rubber backed mats. They are economical, print beautifully, can be custom shaped, and stand up to medium traffic. Welcome guests in style with promotional entry mats. Whether coming or going, these eye-catching promotional mats create a memorable impression. Thanks to our vibrant, high-resolution printing techniques, these mats are proven to upgrade your brand image and are the perfect solution for entry ways, and other high-traffic areas. Alvimar Global is one of America’s most trusted and innovative manufacturers of custom P.O.P. display floor mats and entry mats. The latest technology is used to achieve instant impact, and high visibility, yet priced economically. We offer many popular substrates for our entry mats from Heavy Duty Polypropylene, to Rubber-backed Carpet mats. 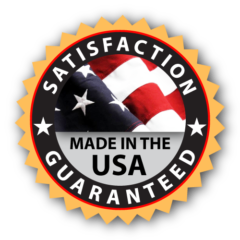 All our Mats are 100% made in the USA.